Buddy knows exactly how you are feeling, trust me. Thanksgiving break: The first time of the year you finally are able to have a break from your homework, to take a break from your diet, and watch Netflix to your heart's content. 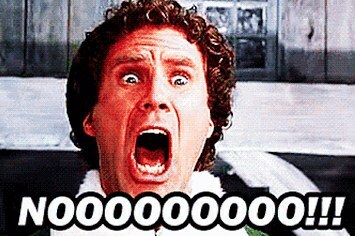 Here are the exact moments you are probably feeling right now told by the one and only: Buddy the Elf. 8. "I'm definitely going to stick to my diet on Thanksgiving this year!" Even though we all know you are counting down the seconds to being able to snuggle up to your dog, spend time with your family, and have a week of doing absolutely nothing, stay as positive as possible! Buddy believes in you, and you should too! You've got this!